The Lumina Power Laser Diode Driver Controller (LDDC) provides a means of controlling all types of laser diode driver supplies. It allows the ability to easily control current levels, pulse modes, and interlock controls as well as monitor voltage and current levels from the driver. 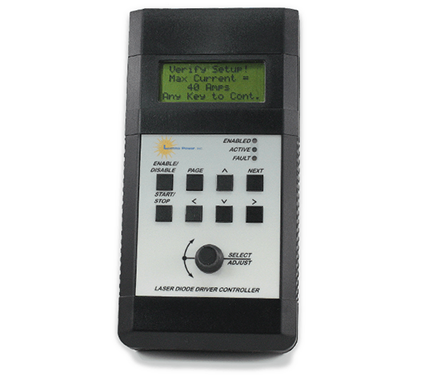 The LDDC provides an easy user interface for manual control and readout as well as USB connectivity for remote computer control. Available for all models of Lumina Power laser diode drivers, the controller ships with the appropriate cable for the model selected. Additional cables are available if one controller will be used for various models.